In the initial version of this post, i thought #Apple was trolling the internet. 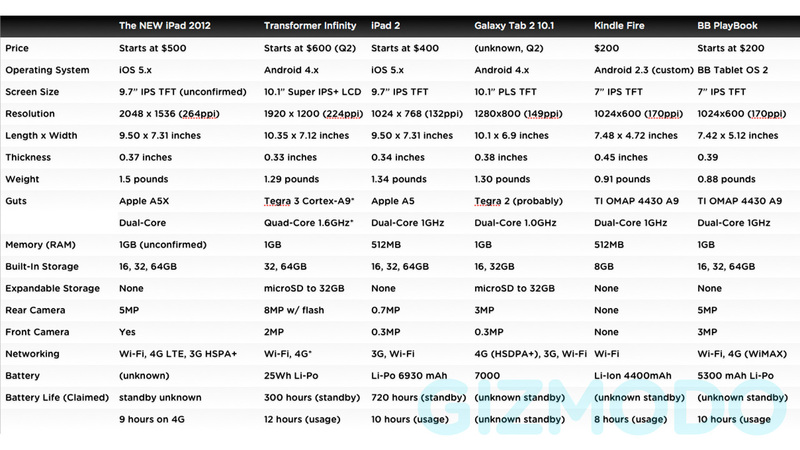 Minutes before the end of the iPad event and after the endless rumours on the name – #iPad3 , iPad HD, iPad RD? – and there was no mention of the name of the new iPad, except the descriptive "the new iPad". And then, the event was over. And the name of the new #iPad is "the new iPad". Or "new iPad". Or something like that. Or maybe not. In the first major product launch of the post-Jobs era it seems like Apple is doing it's first big #marketing error. It doesn't take much thought to see that calling a product "new" is problematic. For starters, you can't call it "new" forever, especially when we are talking about an electronic device where everything changes every six months. And of course, there is the issue of how are you going to call the next version. "Super new" sounds… strange. This entry was posted on Wednesday, March 7th, 2012 at 9:24 pm	and is filed under Technology. It ended and they still haven't. Looks like it's just called the new iPad. so iPad 4 will be the "really new iPad"? Wouldn't be surprised if it was called that. Maybe they discovered trademark issues around iPad HD – at the last minute? As a very senior techie ( meaning I am very old) who has converted to Apple, I see no problem with the name. Both of you are young and seem to be impressed by Designer Logos, "NAMES" I will be more impress with what it may allow me to do and how easy it will be to do it. Call it a DOG…. if it works it is not because of the name…..
+Gee Senter i've been hooked into computers for more than 20 years now, i've never seen a new tech product being named like the first version of it. That said, since we are talking about a consumer product, not just a technological innovation, I hope you will agree that marketing is a big part of Apple's success, so it's obvious that such things are going to be discussed. I do know the need for good marketing. I also know I wanted the iPhone 5 but got instead the iPhone 4S. Perhaps I should have waited on the 5 but I sure do enjoy what I can do with the 4S that I could not do with the 3GS. Maybe they should have named it iPad 2S or iPad 3+ but I still want it all the same and oddly with Apple's reputation I believe I am not alone in this desire. +Gee Senter of course the "new iPad" will sell, i'm not saying that. Still, it is confusing to not use model names and it is certainly more confusing to switch to using model names to not using model names.